And, probably one of the biggest decisions I have made..in January I’m starting the process to become a certified Holy Yoga Instructor. In a nutshell, it’s all the benefits of yoga but connected to the Christian faith, which is how I have been practicing anyway. I love the idea of helping others discover that path. And I have mentioned before how much yoga and knitting are such a great combination..I truly believe that yoga has saved my wrists and improved my posture. 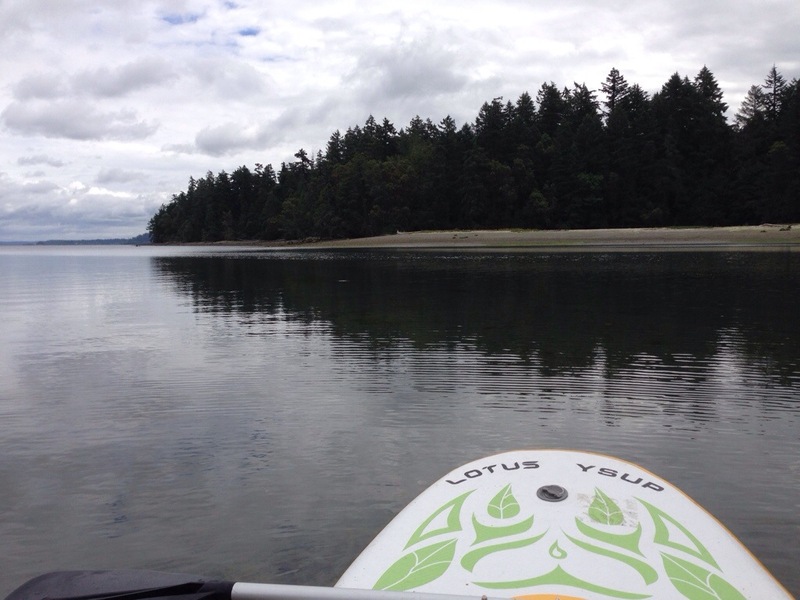 So, you’ll be hearing more about that adventure on this blog as well. I hope you all have an amazing and beautiful Christmas! I wish I could show you a better progress pic of my Arabella Sweater but I can’t because I am camping and didn’t pack it all. I’ve finished the back piece and it is truly lovely..and a very enjoyable knit. So here I am, in a tent again..enjoying the beautiful Pacific Northwest, and today is pouring with rain. Which is totally good..a nice relaxing day in the tent, even for Oliver. 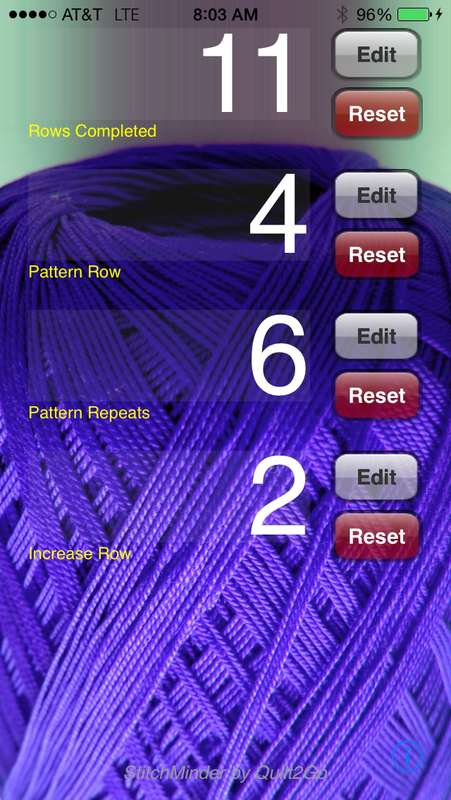 So, while this is a great knit, there’s also some serious row tracking going on. 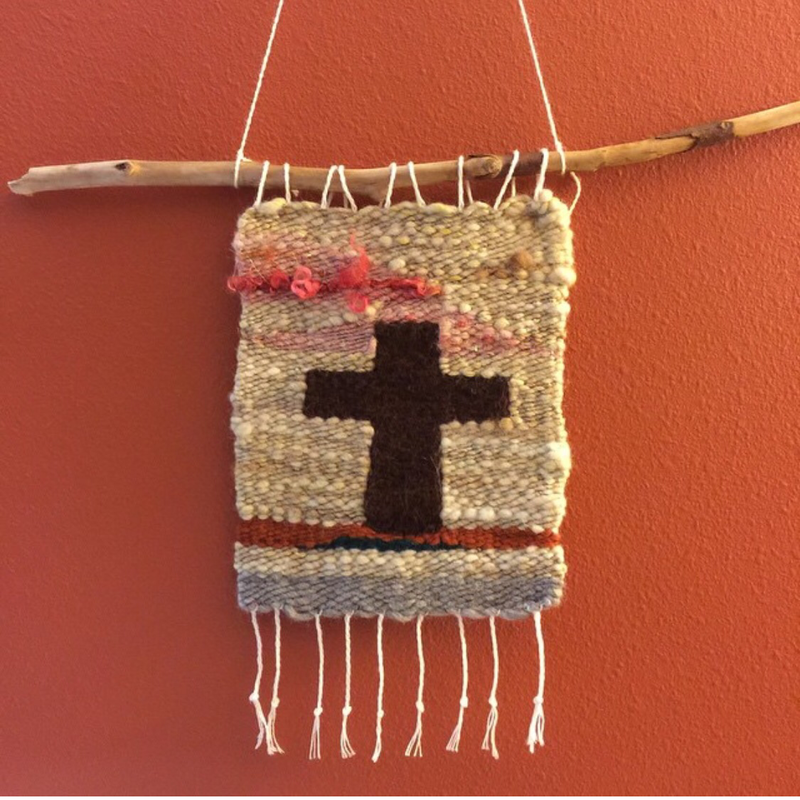 I thought I would use that opportunity to share with you one of my favorite digital tools: Stitchminder. It’s an iPhone app that has saved me tons of scrap paper and probably some sanity. In fact, because I travel so much it helps me stay on track on a project without too much hassle. A guy on a plane asked me one time what I was using because he had accidentally thrown away his girlfriend’s notes on a project, and he thought if he gifted her the app he might get out if the doghouse!! Here’s how I used the example photo above. The top row represents the 35 row garter ridge repeat. The next row represents the 6 row cable repeat. The 3rd row represents the amount of decrease rows completed. The 4th row represents the row count for the decrease pattern. Game changing stitch tracker, I tell ya! 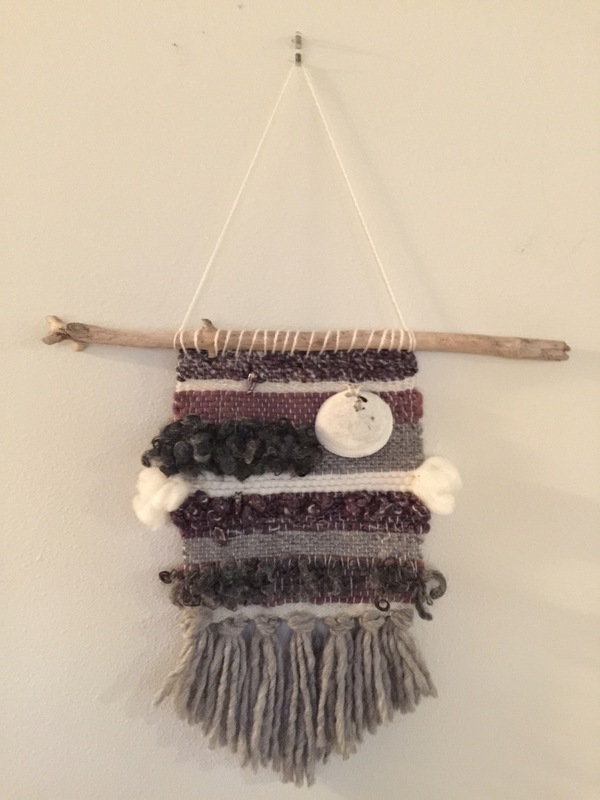 What are different ways you keep track of your stitches? 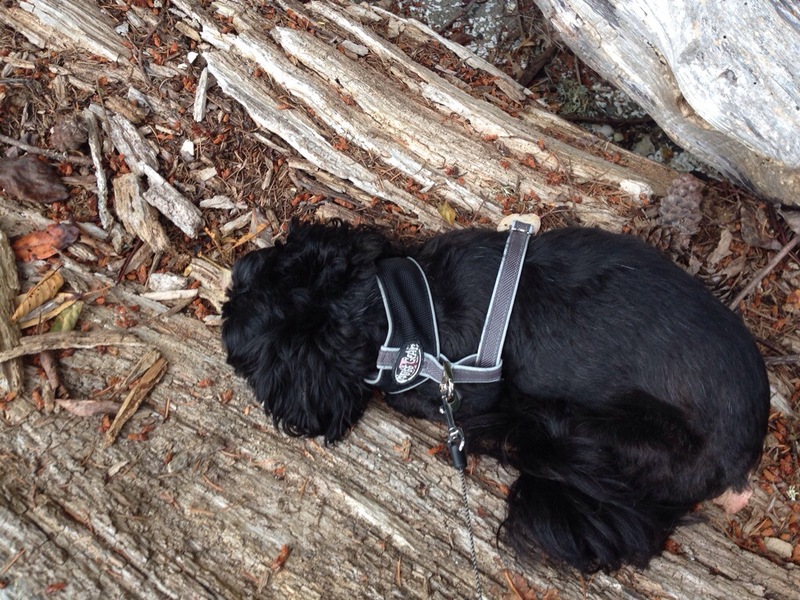 Bump on a log part 2..
And a nap. Nice weekend! Okay, this is a strange thing to admit. For YEARs, I thought I didn’t like seaming. I avoided patterns that weren’t knit in the round. Big flat cardigan pieces were okay too..especially if the sleeves were drop shoulder, picked up stitches and knit in the round to to cuff. 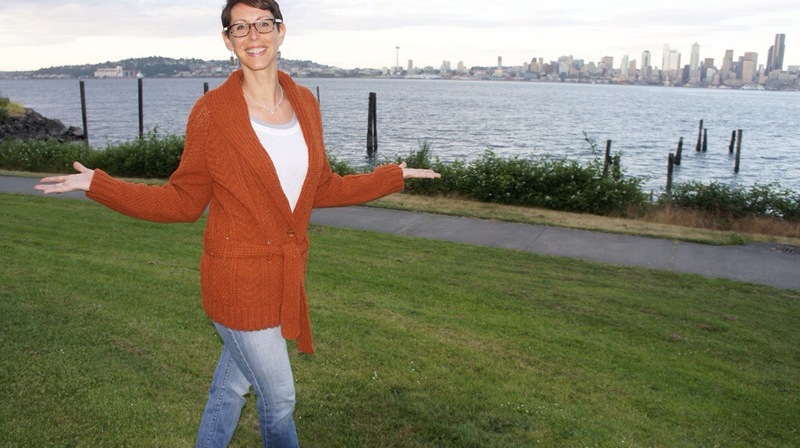 Then I took a design class at Vogue Knitting Live, and we focused on based set-in sleeve (gasp) crew neck sweaters. I have avoided set-in sleeve patterns like no one’s business. Then I tried it and realized there are many cool advantages I have been missing. 1. Smaller knitted pieces fit better in knitting purses/bags for travel. 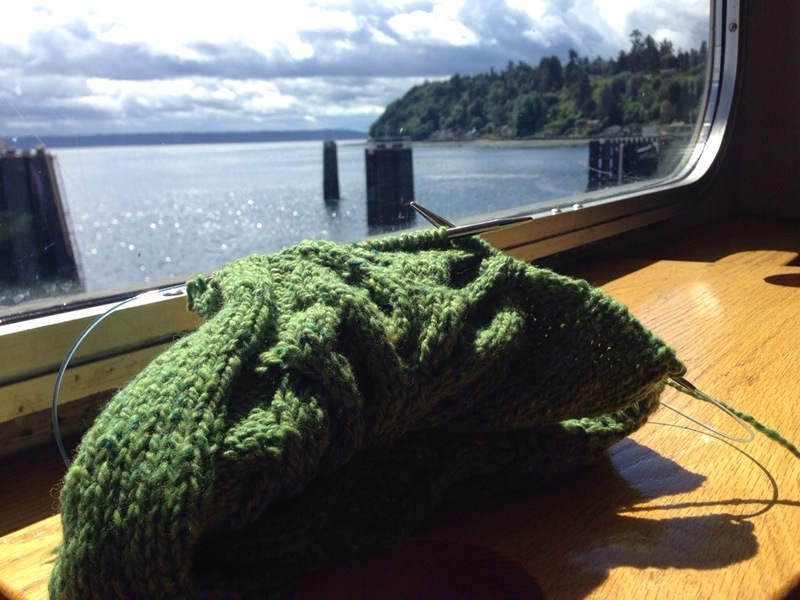 (Like my “knitting on the ferry on my way to camping” picture above! 2. Smaller knitted pieces give a faster sense of accomplishment..
4. 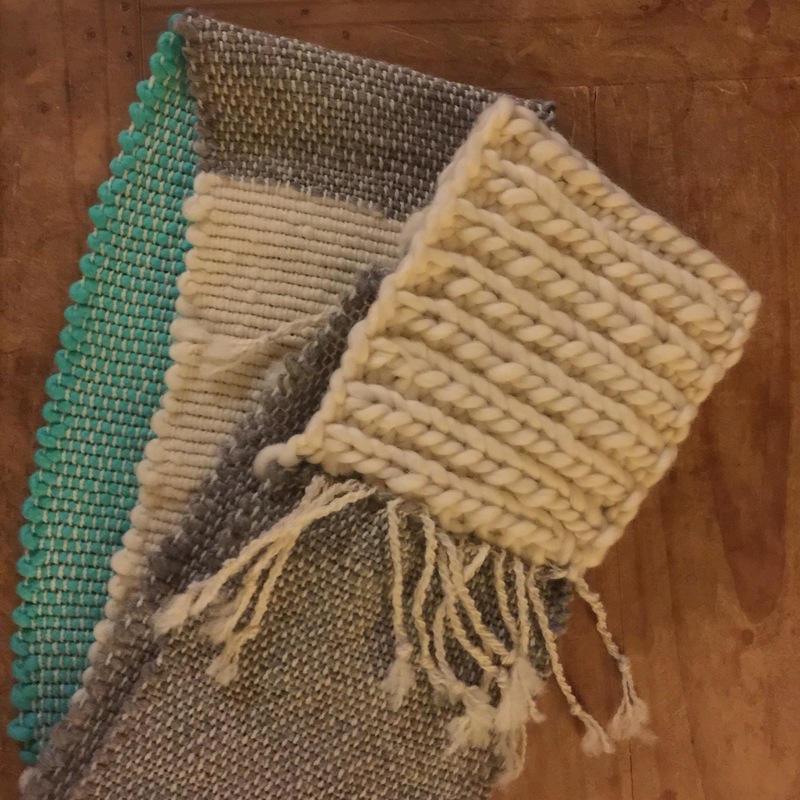 You can weave ends into the seams. I really liked that trick. 5. Seams provide a little more structure to the finished garment. So there you have it..I’m converted! Still like my top down raglans, but this opens a whole new world of knitting fun!! How about you? 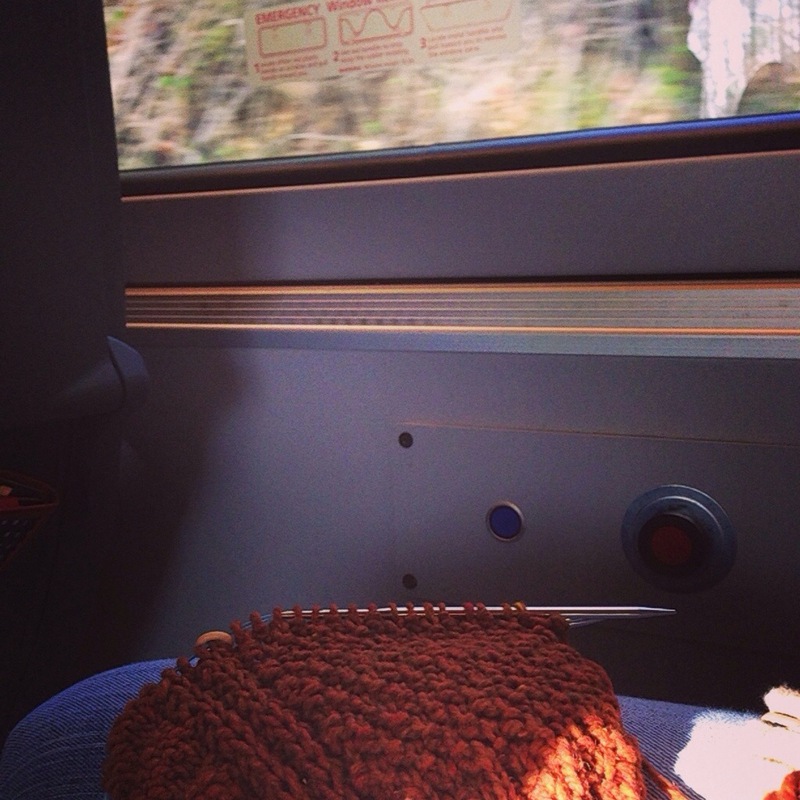 Do you prefer knitting in the round or seaming? This might be my favorite knit of all time. Seriously. 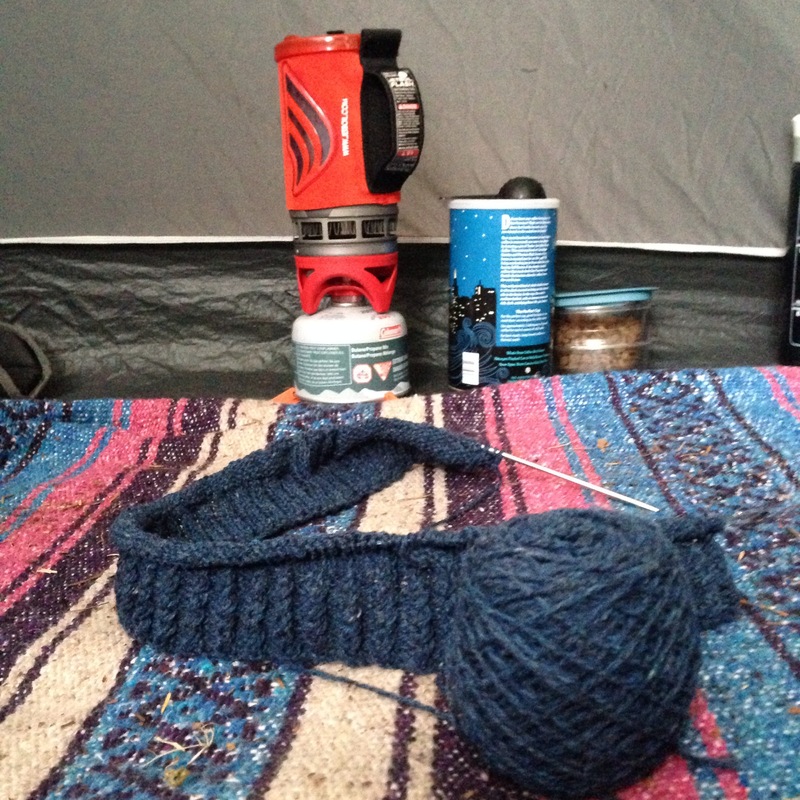 The knitting was an endurance race, not a sprint, but that’s totally ok! I shared with you a few posts back about knitting by my mom’s bedside before she passed away, and as I thought..this is like a cozy hug reminding me of some beautiful moments. 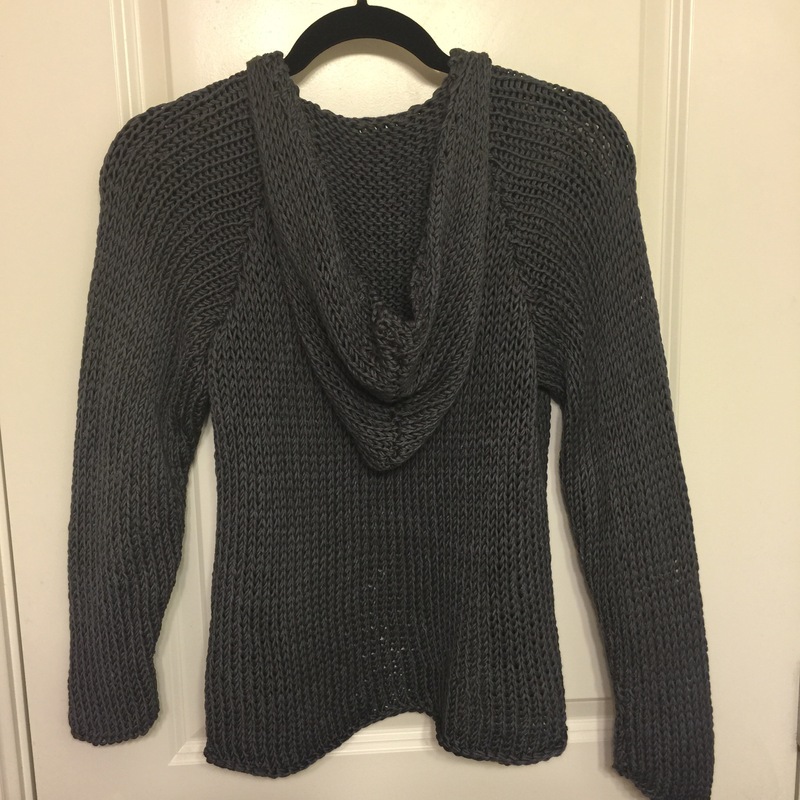 The fit is amazing and I loved working with Shelter yarn. The yarn is a bit fragile to work with..if you pull it at all it breaks..but it does splice back together beautifully, which makes for fewer ends to weave in. One of the tough things was finding a complimentary colored yarn to do the seaming. Once I found it the seams looked great..especially since the sewing yarn doesn’t really show..but a close match is still important. I loved the pattern. Very engaging..and I didn’t feel the need (or distraction) to start another project. I think I finally got to the “ready to be done” stage when I was doing the collar. I wore it to work today (I know, it’s June..) and was told it looked like an Anthroplogie sweater, but with a custom fit. Sweet compliment! 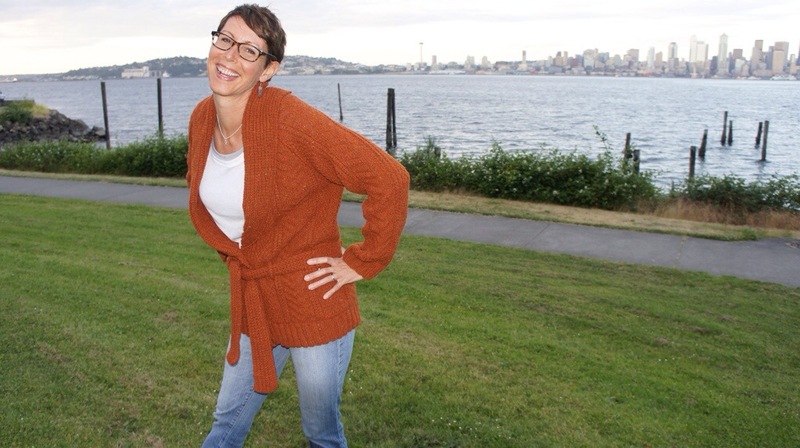 If you like a detailed project for a sweater that will be a heirloom type garment, this is a great pattern for you. Here’s the link on Ravelry. Enjoy! Spin and knit on! Have you ever debated for way too long about adding a tool to your supplies? You know, one of those things that seems like it might be awesome but you just don’t want to spend the money on it? For me, it was the skein winder. I can’t begin to tell you the countless hours I’ve spent winding yarn. Countless. And now I’m thinking differently about it because my kids are grown and I can’t coerce them into helping me…I love thinking about the hours they spent with their arms the width of the skein, squirming and trying to be patient. Quality bonding time..that’s what it was. It was this picture that pushed me over the edge. I wanted to warp my loom but couldn’t get motivated to wind the yarn. There are just so many other enjoyable things to do with that time. So, I bit the bullet and got the winder. Oh. My. Gosh. Game changer. Why did I wait so long?? 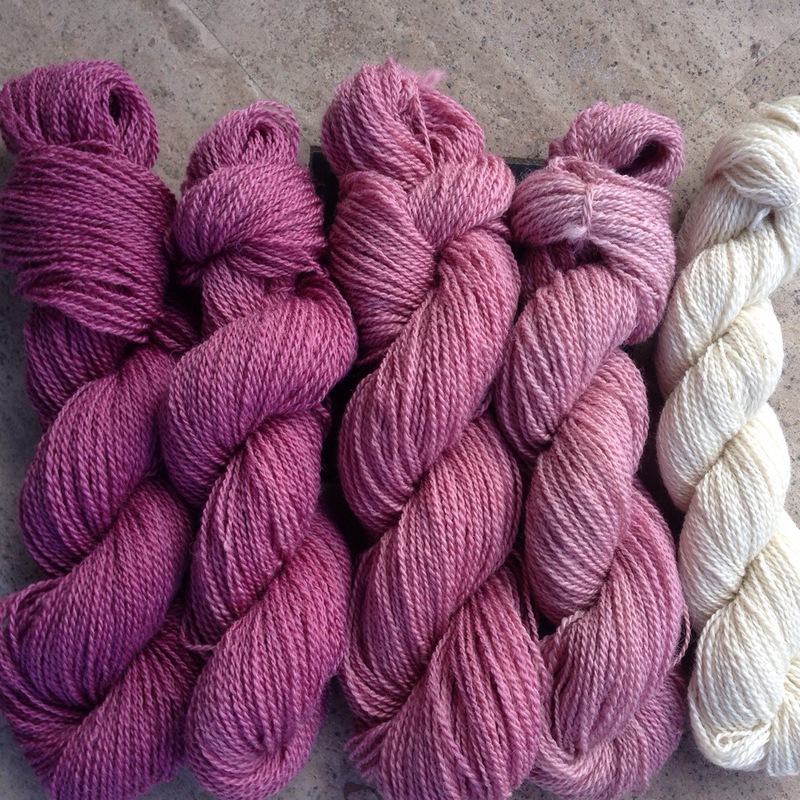 Skeins wound in less than five minutes! In fact, I was so tickled, I texted this video to my (now grown) kids. Their response? Daughter: I see how it is….. 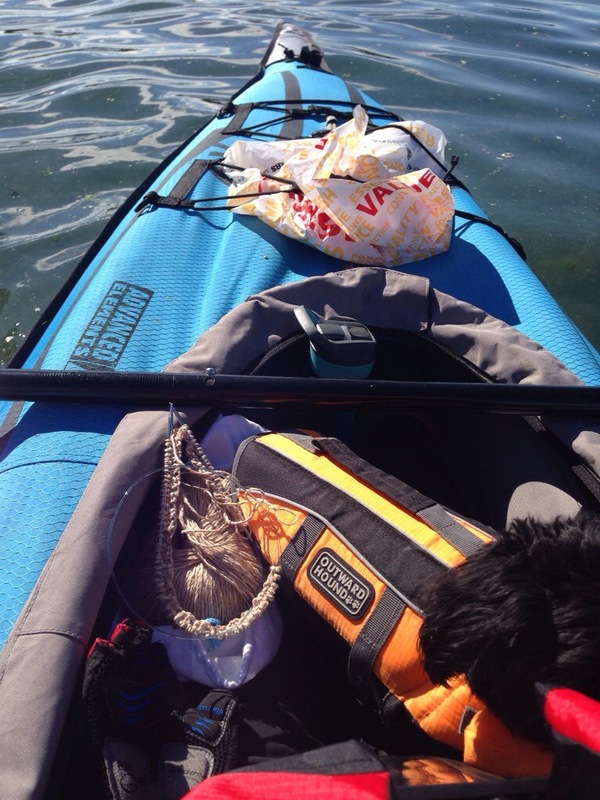 Son: First giving my room to the dog and now this…. 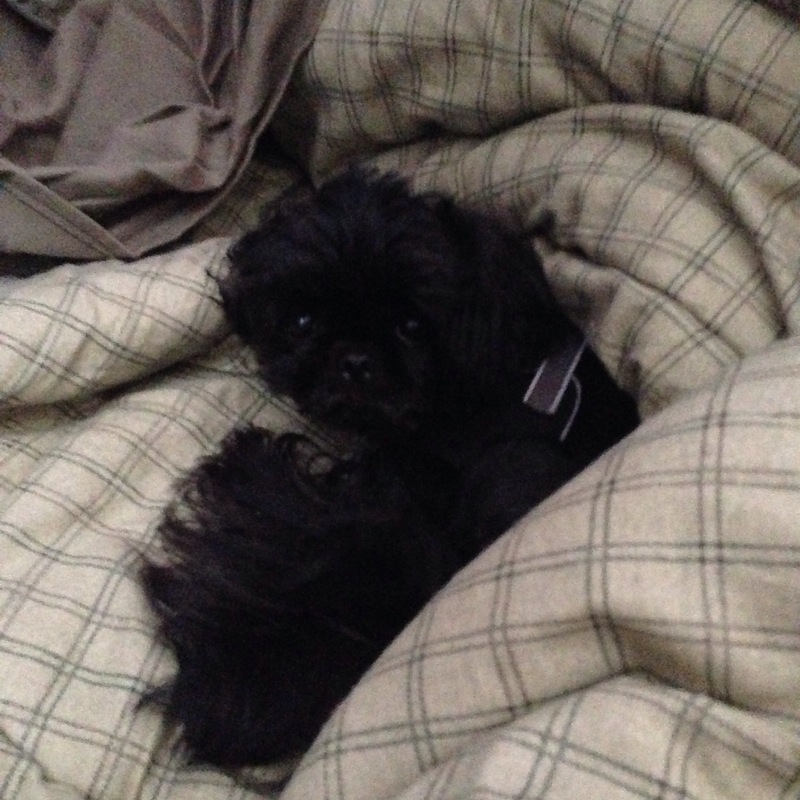 I feel replaced…. I love it. Seriously. Money well spent! Spin on! 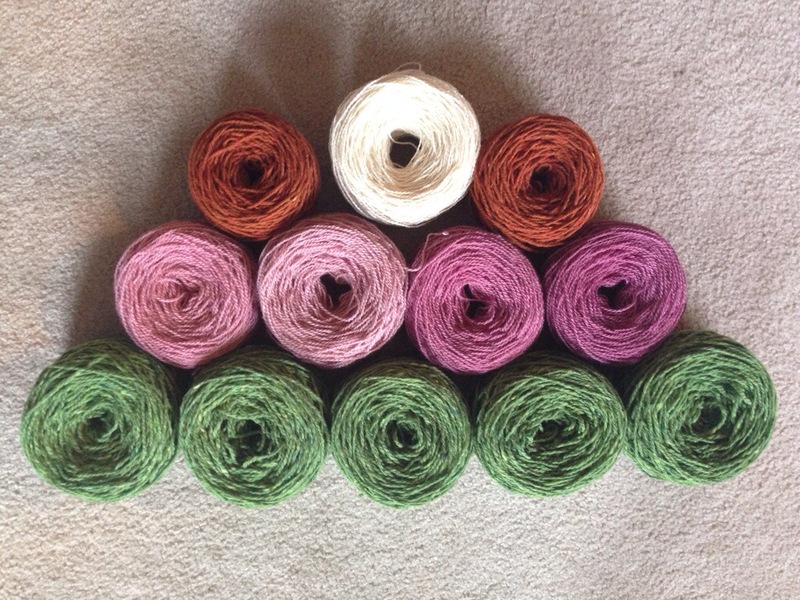 Are you a monogamous knitter? I think I’m getting my groove back..and it feels good. One of the consistent things I’ve had to help me process my recent loss has been my Channel Cardigan . (I’ve just got to attach the collar and front band now. Full report when it’s a real FO). 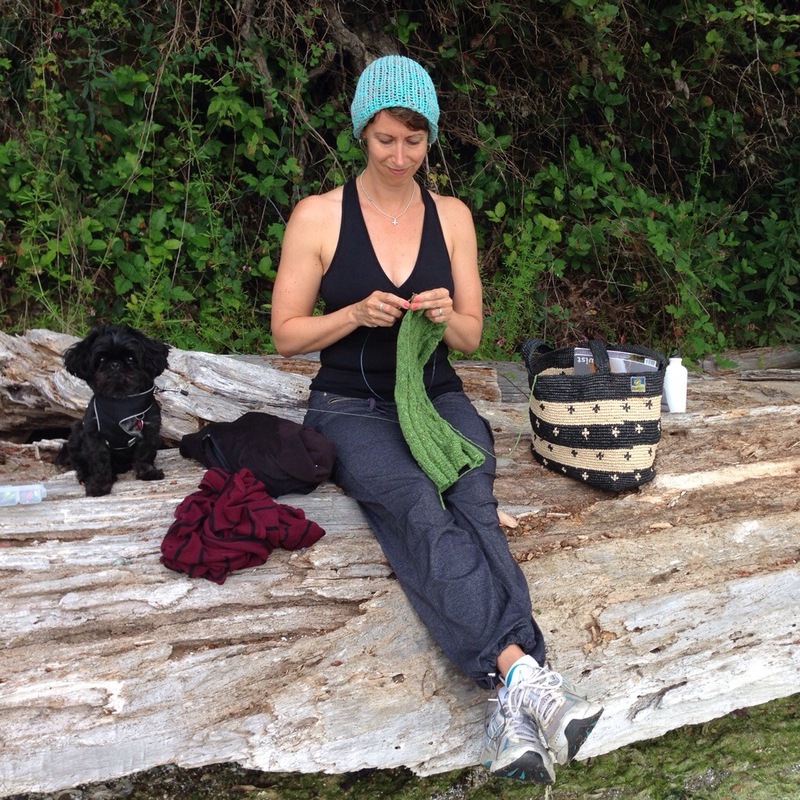 During the past several weeks I’ve realized I am much more of a one project knitter than a “mix it up” sort of girl. 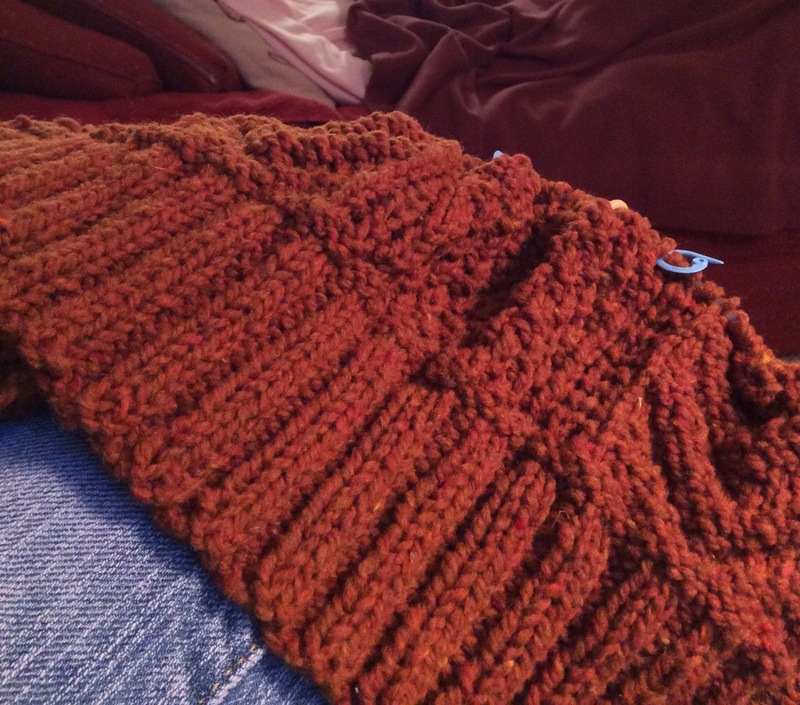 In fact, having several projects on the needles stresses me out, and I usually end up not liking one of them. I do have a running wish list in my head though..of what to do next, and that choice is a constant battle! 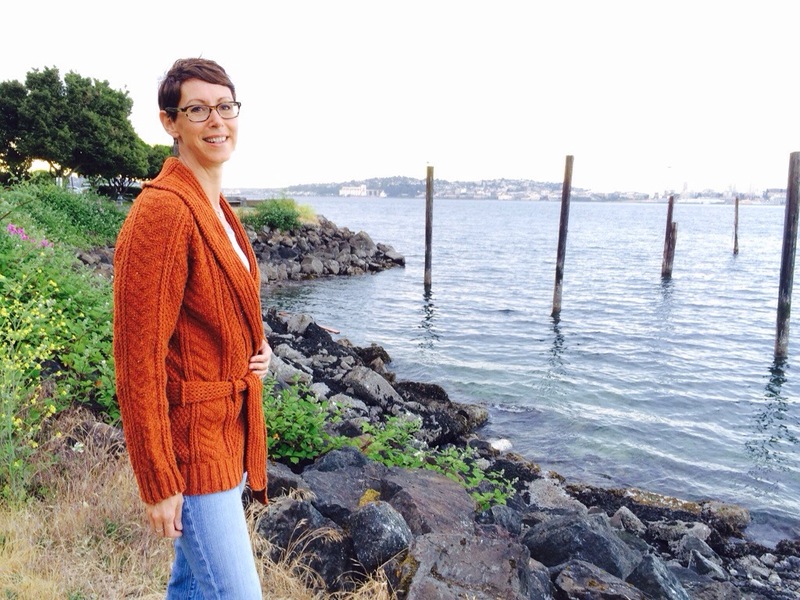 I’m really smitten with Arabella from Brooklyn Tweed’s Wool People 7. What’s not to love? I am, however…NOT a monogamous fiber artist. Here’s the list of what’s going on in that world..Yoinks! 3. A pattern in my head that needs to get out..
How about you? Are you monogamous in your creative pursuits or do you thrive with more projects going on? It’s been a while since my last post, and I’ve had a hard time gearing up for this one. Today I’m not writing about how we create beautiful things, but why we feel drawn to it. Why creating with our hands and our hearts is nourishing to the mind and the spirit. Why there’s a peace that comes with the process that brings comfort and joy. Over the past few months, I’ve mentioned that my mother has been battling cancer for three years. During the month of April, I had the opportunity to spend last few weeks of her life with her. The time we had together was filled with some of the most beautiful and difficult moments of my life, and I am so grateful for it. Many of those moments, she would be asleep on the sofa and I would knit. Watching her breathe, praying for peace for her, sitting and thinking about the times we shared… I wouldn’t trade those quiet moments for anything. The picture above is a tiny glimpse of one of those moments. Her asleep, me knitting. Just silence, just us. 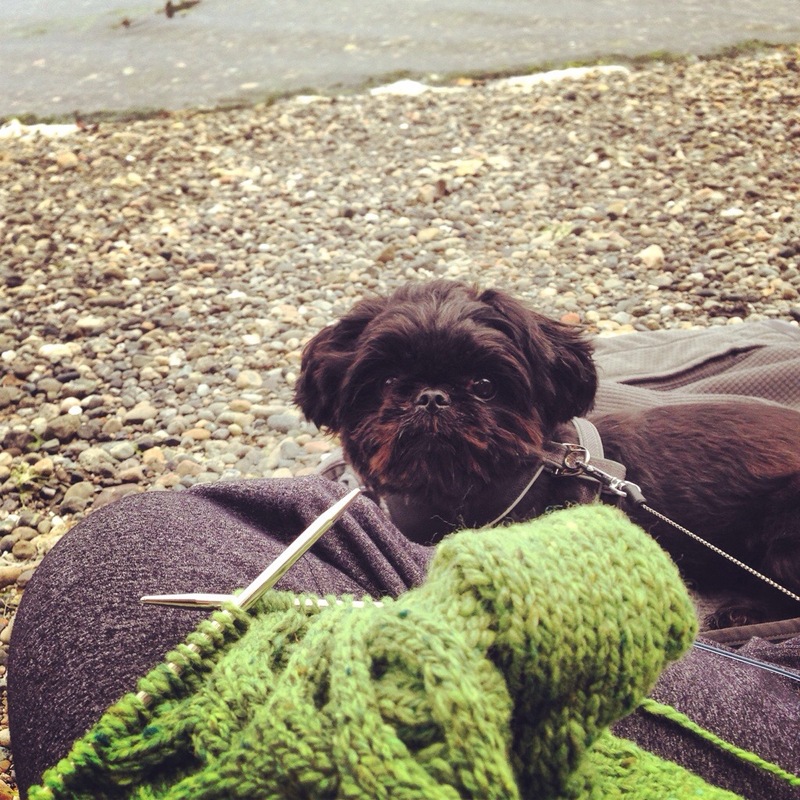 Knitting helps me to stay quiet and open during difficult times. 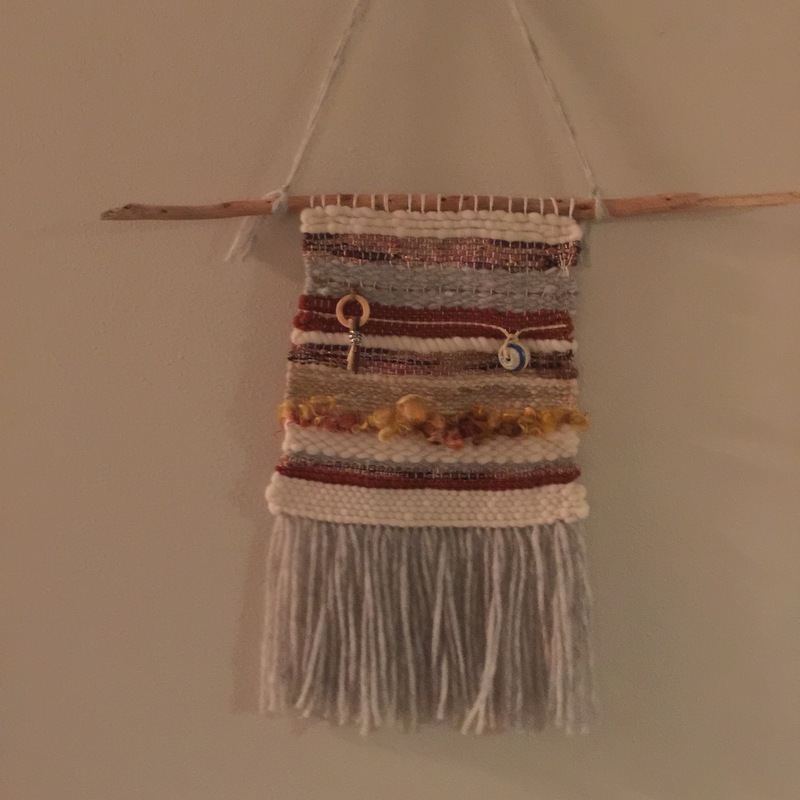 When other things are beyond my control, I can take a stitch at a time and turn it into something beautiful..something forever bonded to the memory of that moment. When this sweater is done, I will always remember it for the time I had with Mom before she passed away..and for that I am grateful. Knit on, my friends, knit on. 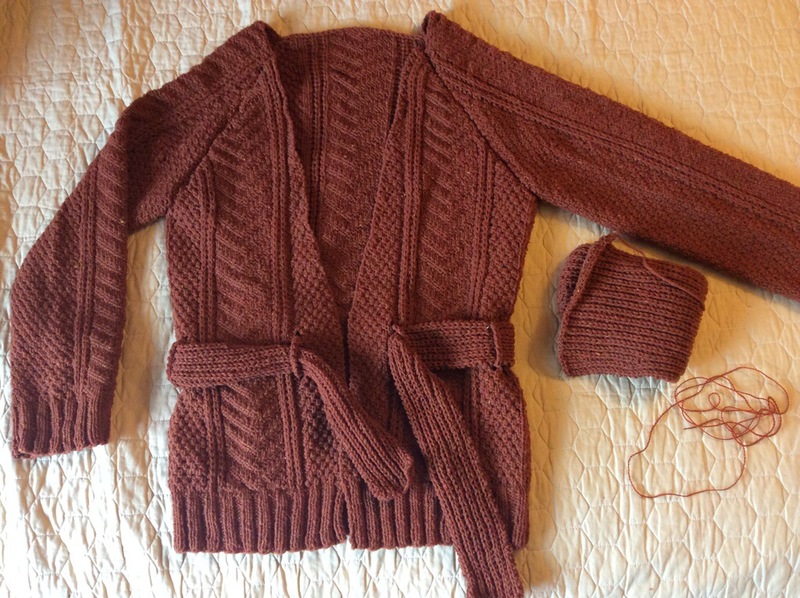 It’s the channel cardigan which is one of Jared Flood’s designs. I’m pretty stoked about it since I haven’t knit with Brooklyn Tweed’s Shelter yarn yet, and I do love the rustic look. Have you done any Brooklyn Tweed patterns? Let me know your thoughts…I’ll be working on this one for a while! And when I get back home..an update on the amazing fleece I have been washing! 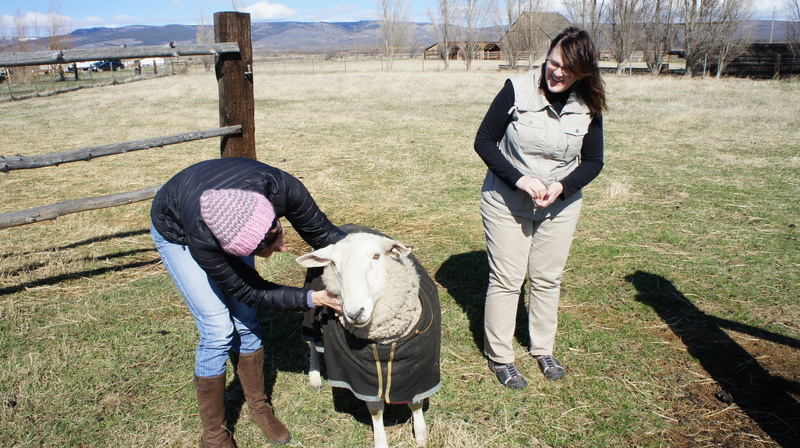 My visit to Cooke Creek Sheep Company! 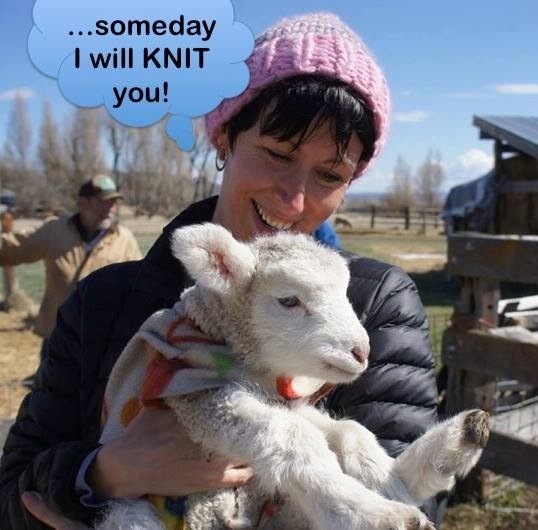 All that to say, I finally found an amazing farm about two hours from where I live, so I visited last weekend to see where this awesome wool was coming from. 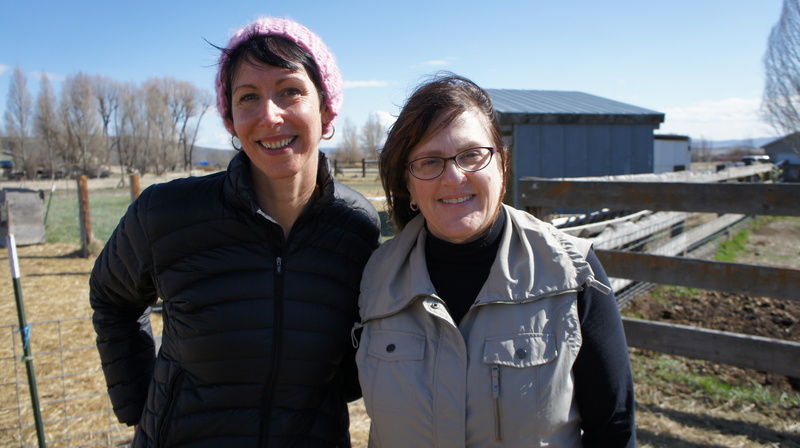 Cooke Creek Sheep Company is run by Jami and her husband Larry and they are amazing, welcoming people who are passionate about what they do. They are in lambing season right now, so as you can see from the top picture, (my favorite picture in the whole world), I got to hold a 4 day old lamb. I posted that pic on Facebook and one of my friends immediately added the thought bubble..which as quite appropriate. If you are looking to do the whole fleece thing, I can’t recommend them highly enough. And, if you are more of an urban spinner, I’m going to create test spinning packages for my etsy shop, so stay tuned. I’ll do it at cost and anything I add on for labor will go to support Awamaki like the rest of my products on the site. I’ll be starting that project with wool from this sheep..meet “Socks.” He’s a Border Leicester sheep and I just started washing some of the 10 pounds of fiber I bought! So, that’s a full post with tons of fun info! If your interested in learning more about the urban spinner packages I will be assembling, let me know below. Have a great weekend and spin on!